The Japanese government will be providing some P4 billion to the Philippines for road projects aimed at decongesting monstrous traffic jams in Metro Manila. Noriaki Niwa, chief representative of the Japan International Cooperation Agency (JICA), said the loan will cover major interchanges to address traffic congestion in Metro Manila, including flyovers, and road links. Among them are the interchanges on EDSA/Roosevelt/Congressional, EDSA/West/North, and C-5/Green Meadows and North/Mindanao Avenue. “This is to help Metro Manila sustain growth and develop it as an attractive investment destination,” said Niwa. While these interchanges have been recommended many years ago and are also reiterated in the recent transport roadmap for Mega Manila, one cannot help but make the observation that these projects will not alleviate congestion over the long term. Instead, it will likely encourage more vehicle traffic (with the availability of more road space – part of a vicious cycle). 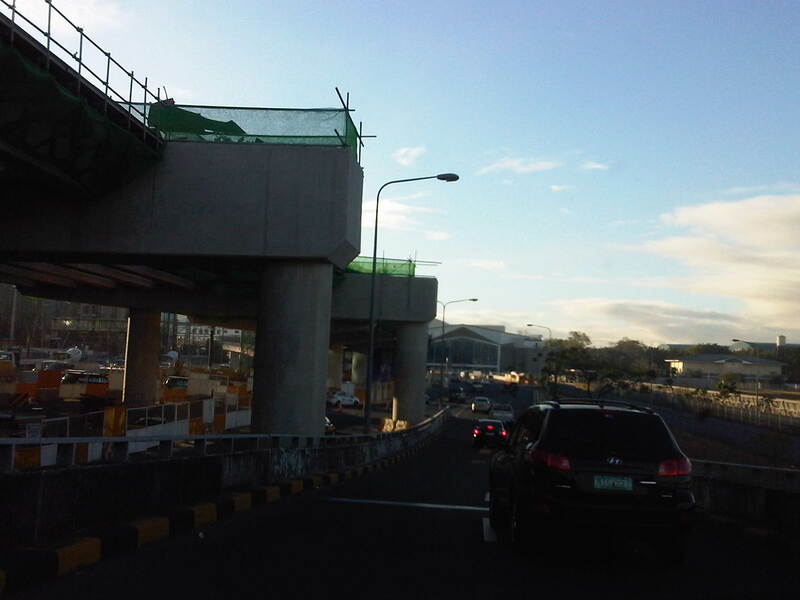 Other major projects that are ongoing in Metro Manila include the NAIA Expressway, which is an elevated tollway connecting to the Skyway. A friend commented that this is basically a glorified flyover project as I will explain later in this post. The term of the current administration concludes next year (2016) and so we are almost in the endgame, to borrow a term from chess. What seems to be a frantic move for the government to build all these flyovers (and elevated tollways) can be interpreted as a way to compensate for the underspending and underachieving ways of the government in putting up the necessary infrastructure to address transport and traffic problems in urban areas. Unfortunately, all the funding (public and private) seems to be going to road projects instead of to mass public transport systems like rail and BRT that should be the priority because these could provide the positive impacts over a longer term than what road projects could deliver in terms of mobility and sustainability. A friend reminded me of a similar situation back in 1991/92 when government embarked on a slew of flyover projects in an effort to leave a legacy in transport. That administration’s excuse for failing to deliver any mass transit project was that it was transitioning from a dictatorship. However, it also failed to deliver on power projects, which led to the energy crisis that had to be solved quickly (but with costly PPP power plant projects). There is a looming energy crisis now but more worrying is a transport crisis as we continue to procrastinate about public transport infrastructure. Should we be hopeful of transport with the next administration? That is still a big question as of now. By d0ctrine in Governance, Infrastructure, Transport Planning on April 1, 2015 .